We noticed something interesting in a recent SEC filing by Facebook board member Marc Andreessen.Andreessen, a Facebook board member and cofounder of venture-capital firm Andreessen Horowitz, reported receiving 15,344 Facebook shares from Founders Fund LP and Lembas LLC. Those are both investment vehicles run by Peter Thiel, also a Facebook board member. It is not clear from the filings whether those funds now retain any Facebook shares—only that they made a distribution to limited partners. Thiel invested $500,000 for a 10% stake in Facebook in 2004, a prescient investment which ended up being worth billions. He sold some of his stake in private transactions over the years, and sold the majority of his stock last August. A Facebook spokesperson could not comment on an investor’s decision. A representative for Founders Fund did not respond to a request for comment Monday afternoon. 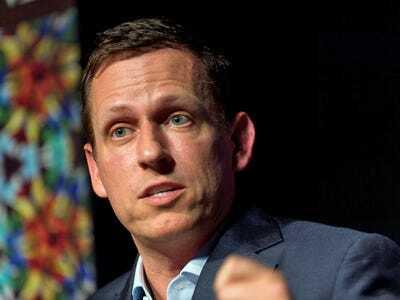 Since venture-capital funds are typically structured with a 10-year lifespan, it makes sense that Thiel would move to distribute Facebook shares to investors. Accel Partners, Andreessen Horowitz, and Benchmark Capital have made similar distributions in recent months as post-IPO lockup restrictions on sales have expired. At this point, the only remaining lockups on Facebook investors apply to DST Group, the Russian investment firm run by Yuri Milner which invested $200 million in Facebook in 2009, eventually putting in a total of $500 million including sale purchases from early investors and employees. Its lockups expire in May.